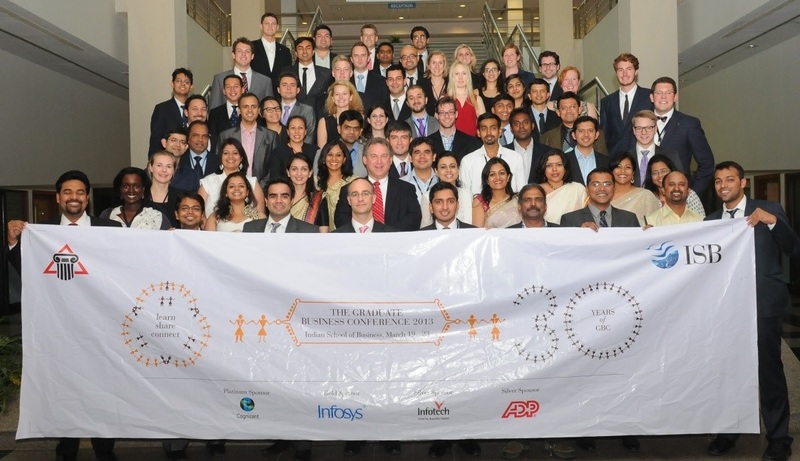 Every spring, the annual Graduate Business Conference (GBC) hosts student leaders from the world’s most prominent business schools, creating a unique environment for leaders to share, engage and debate issues facing management education and society. This year marked the 30th anniversary of the GBC. 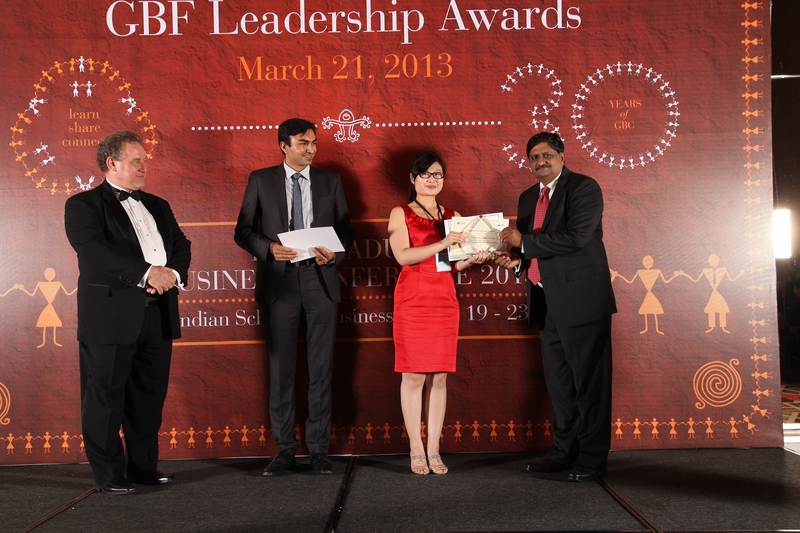 It was held for the first time in India at the Indian School of Business. 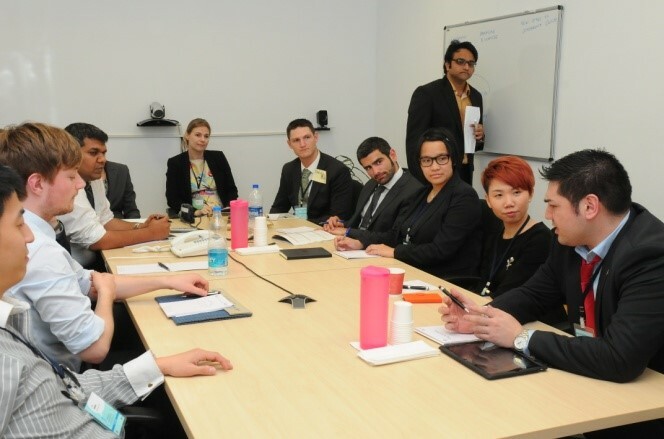 70 student leaders and 15 alumni from 36 top B-Schools from 15 countries spread across 5 continents spent 5 exciting days at the Hyderabad campus. 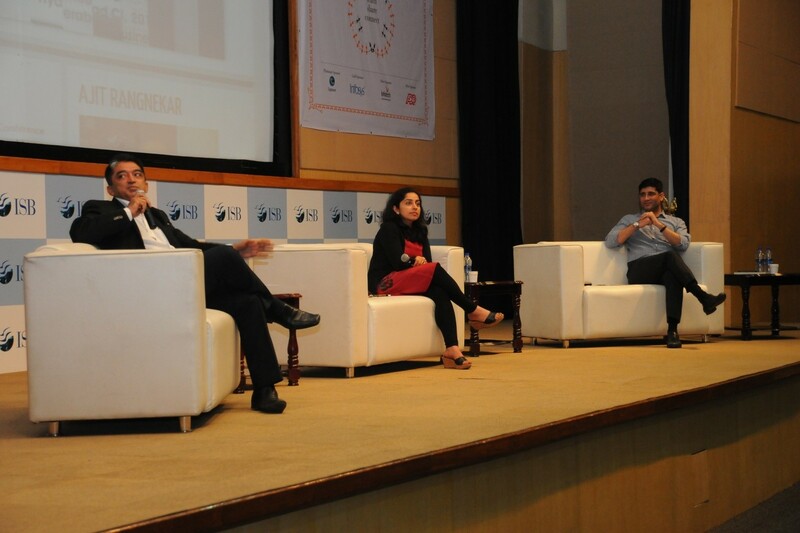 The conference was sponsored by Cognizant, Infosys, Infotech and ADP. The theme for the conference was ‘Leadership for a new Age’ which addressed the changing dynamics of leadership with the current state of global affairs. The delegates had the opportunity to hear top leaders on what leadership means to them and how leadership needs to evolve. The distinguished key note speakers were Dr. Shashi Tharoor, Minister of State for Human Resources Development, Government of India; Mr. Harish Manwani, the Chief Operating Officer, Unilever; Dr. Devdutt Pattanaik, Chief Belief Officer, Future group and Mr. Ramkumar Ramamoorthy, Sr. Vice President, Cognizant Technologies. 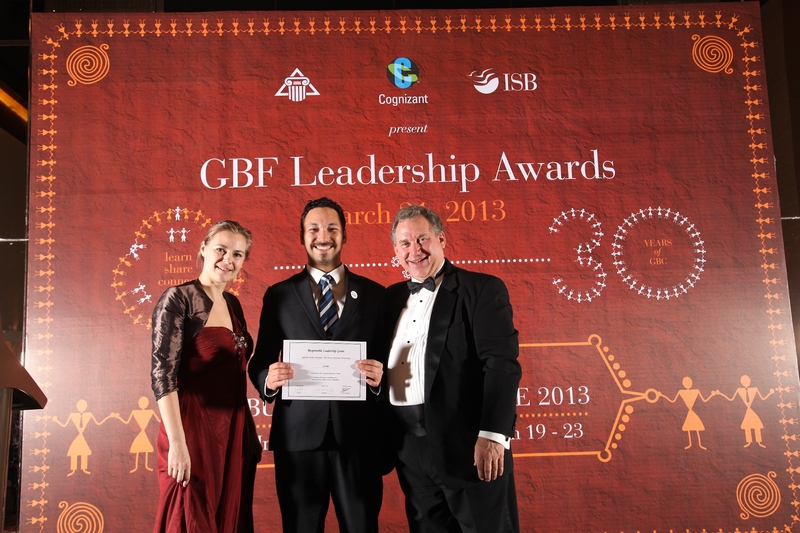 Elections for the student leader representatives on the GBF executive team were conducted as part of the conference and Aditya Kaul from the National University of Singapore was elected as the new Chairman of the Presidents Network. – Presidents Forum – Best Practices in which the best practices of various schools were shared and discussed. – A session by Gallup on leading with strengths. The delegates were given an opportunity to explore our rich Indian culture through a series of cultural evenings. These included a classical dance performance by the acclaimed Yamini Reddy Kuchipudi troupe, a Nizam Night with traditional cuisine and several cultural activities, the Bollywood Night with a stand up performance from Saurabh Pant, and the closing night which had a Kerala theme. In continuation with the tradition of honoring student achievements, the GBC and ISB hosted the Gala Night, a red carpet event to celebrate student leadership. 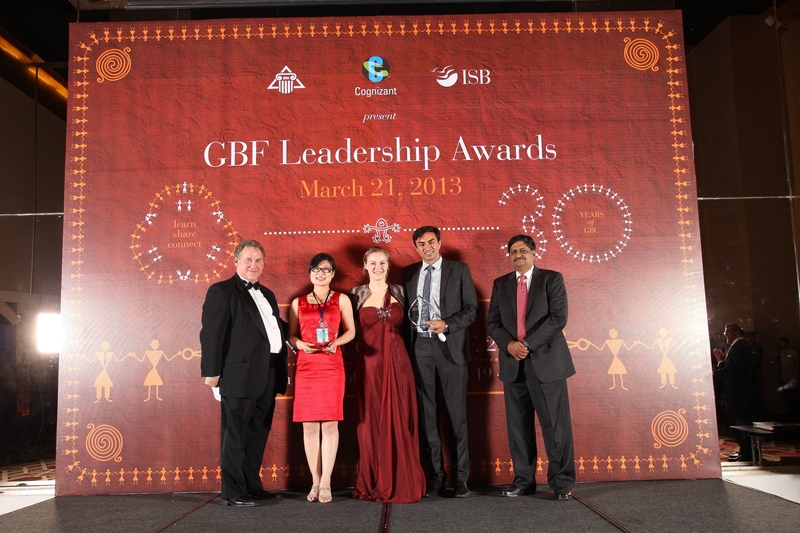 Ashvini Jakhar of ISB won the Global Student Leadership Award with Xiaoli Li from the CEIBS University winning the Responsible Leadership award. 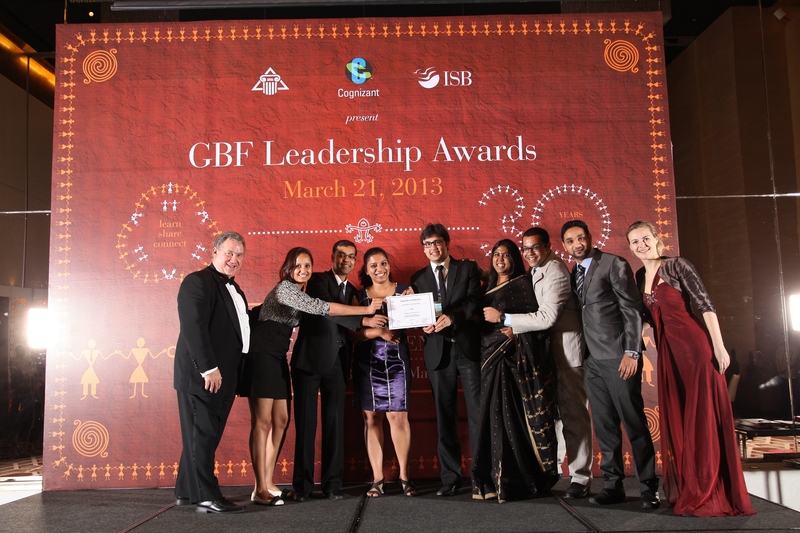 Responsible leadership grant funds were also awarded to Harita Vinnakota and team from ISB and Reginaldo Markus Arredondo from the Chinese university of Hong Kong. 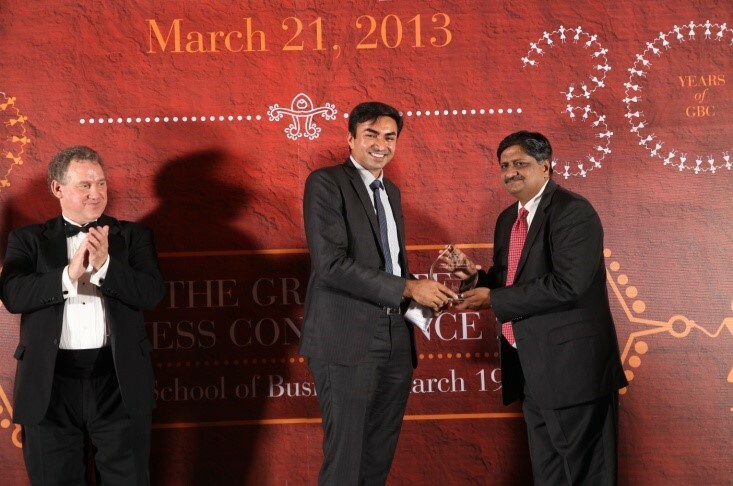 We at ISB are honored to have hosted the 30th graduate business conference. It was a very rewarding experience for everyone involved. We learnt from sharing ideas and perspectives, cherished our diversity and celebrated the coming together of future business leaders. We are glad that we could make a difference to the Business School experience for delegates from across the globe. 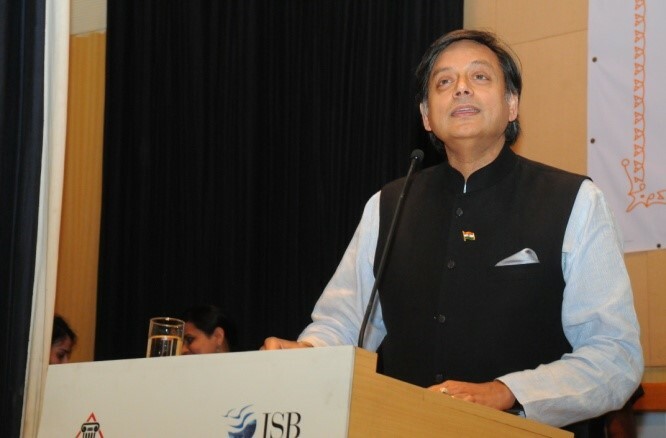 India has seen a multitude of innovations emerge over the last decade. Originally tailored to address opportunities at the bottom of the pyramid, many of such innovations today attract the interest of consumers from all around the world. The panel highlights a few organizations behind these prime innovations that have won global recognition for delivering quality to the masses at affordable prices. Dr. Harish Iyer – CEO, Shantha Biotech, a company that has been driven by its mission to provide affordable vaccines and medicines to the developing world. High on government regulations and bureaucracy, emerging markets function differently from the developed ones. For individuals and companies wanting to do business in India it is essential to understand how these idiosyncrasies are part of an efficient working system. The pertinent issues that companies will face in emerging markets will be discussed by an elite set of panelists. Dr. Mudit Kapoor, a resident faculty at ISB with interests in Economics and Development. He teaches a course of Government, Society and Business and has also been a consultant for the World Bank group. Dr. Shamika Ravi, a resident faculty at ISB with interests in development finance and impact of public programs. She teaches courses on economics and microfinance and has also provided consultancy services for the World Bank group. With the constantly changing landscape of business around the world, it is imperative that we acknowledge the differences in leadership that have surfaced. Leading a conglomerate or a large business today demands multiple competencies and it is important for the leaders of tomorrow to understand what is coming their way in order to be better prepared for it. Mr. Harish Manwani, Chief Operating Officer of Unilever Global will share his thoughts on the challenges that we face and how best to tackle them. Having worked in Asia, Europe, North America, Latin America and Africa through his eventful 37 years with Unilever, Mr. Manwani has experienced the complex changes in the business environment and would guide us on the way forward. This is one not to miss session!